Dejan Stević writes under the pseudonym of Marcus Lothar. Born and raised in Serbia he appreciates the whole ensemble of symbolic codes and emergent properties in the modern society. Bohemianism is often seen as a practice of an unconventional lifestyle in the company of like-minded people, with few permanent ties. Perhaps this sounds strange to someone, but those are all aspects that are considered desirable for an aspiring artist, an artist like JonOne. 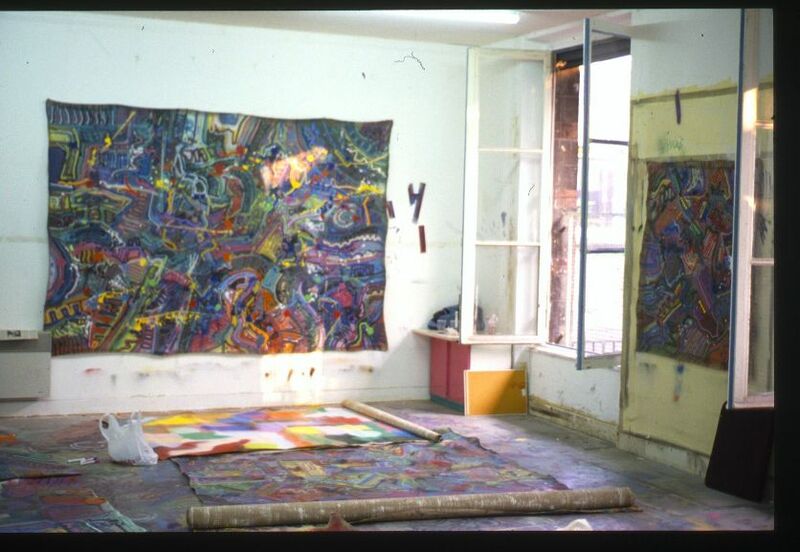 Paris during the mid-1980’s and early 90’s saw rise to one of the biggest and longest standing artist squats in the country. An abandoned “Bretonneau” hospital that became the one true Mecca for “shackle-free” artisans. It was the end result of high rents and a large Bohemian artist population yearning to create a unique studio space, it came to be known as Hôpital Éphémère, a space in which individuals could express themselves, ties severed. After growing up surrounded by the whirlwind that was the street art of 1980’s America, JonOne, graffiti artist born in Harlem, New York, decided that it was time to follow an invitation from a fellow street artist, a Frenchman known as Bando, and move to Paris in 1988. In the term-defining art world of France, JonOne decided to swap “living museums” (as he called them) of New York’s subway, for the more canvas-orientated painting styles that were performed at Hôpital Éphémère. All in the hope of leaving behind something that will stand the test of time. And on its next exhibition, Galerie LA FEUVRE will try and let you answer for yourself if the artist has succeeded in his quest. 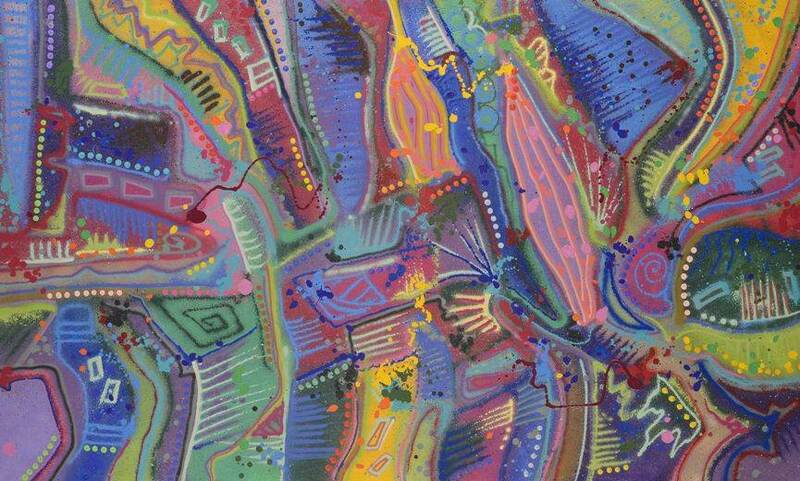 In the year of 1990, JonOne was introduced to Cornette de Saint Cyr, a meeting that would transfer his paintings to an, even more, abstract plane of existence. Here a note must be made that his works from that period are considered very desirable with the young collectors today. He later moved to Frigos, a street in the Parisian 13th district, which is famous for its wall-painted murals. Since then JonOne has exposed his works in a wide range of solo and group exhibitions encompassing the entire globe. Since 2008 Galerie LE FEUVRE has been proudly presenting some of the very finest works done by this legend of contemporary French urban art. In a collaboration between JonOne and Galerie LE FEUVRE, four exhibitions have been made so far. The first one opened its doors to the public eight years ago and was named My Father’s Keeper, it still represents one of the major displays in the histories of both the artist and gallery itself. In 2011 Galerie LE FEUVRE met up with the artist again and, from that, Da Sun Will Always Shine exhibition was born. 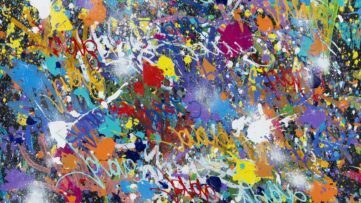 It happened while JonOne was still developing a new style, one made of “punishments”, which consisted of the continuous repetition of his name. 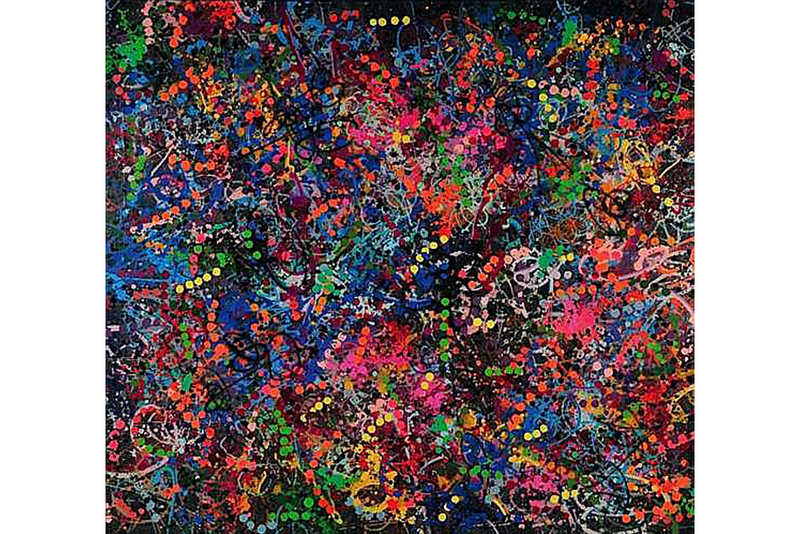 Then, just two years later, JonOne again reevaluated and reassessed his working style, allowing the constant shifts in artistic perception to become a true staple of his career. This time, he chose to polarize his work with expressionism. And in November that very same year Galerie LE FEUVRE agreed to organize the Past-Present exhibition, an exhibition mashing together the works of JonOne and the American expressionist artist Sam Francis, and from that amalgam draw parallels between the two artists with similar styles but very different backgrounds. Three more years have passed and now, from the March 18th until the April 23rd, 2016, JonOne and Galerie LE FEUVRE are meeting up again in an effort to showcase some of the artist’s greatest works. 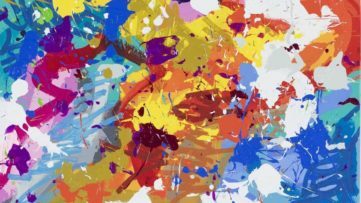 The exhibition appropriately titled “Masterpieces”, will be showcasing some of the best artworks JonOne has produced from 1991 until 2009. The works on the display are of truly exceptional quality as they are of immense proportions. The display will later, during the opening days, give way to the works of JonOne that have rarely been witnessed by the eyes of the public, and more importantly – works which had never been shown together in the same space. That, for sure, will allow the observer to track the artist’s spiritual evolution trough the extensive and ever-changing landscape of his talent. Marseille Swamped with JonOne’s Love! 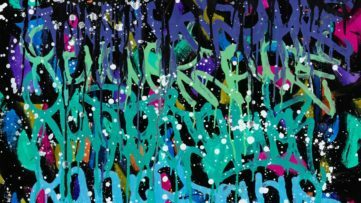 JonOne to Present Brand New Works at Fabien Castanier Gallery!